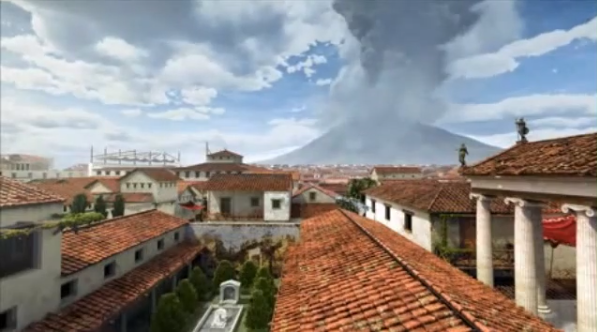 This may seem far-afield from the interests of most historic sites, but 1,933 years ago today, Mount Vesuvius erupted and buried the city of Pompeii (resulting in one of the world’s most popular historic sites about 1,700 years later). The Denver Museum of Nature and Science is marking the anniversary by tweeting the last day of Pompeii as it happened, starting at 10 a.m. today by @Elder_Pliny (formerly known as Pliny the Elder, who witnessed the events) in preparation for an exhibit on Pompeii opening on September 14. So far, he has more than 3,000 followers and he just tweeted that he’s preparing his boat to get a closer look (should I warn him?). Along with the tweets, the Museum has created a mashup with Google maps to follow Pliny around Pompeii, is hosting “Bacchus Raucous” (a fundraising gala dressed in a Roman toga) and is featuring a lecture on Ceren, a Mayan village that was also encased by a volcanic eruption centuries ago. Thanks to Sandra Smith at the Heinz History Center sharing this clever approach in interpretation. This entry was posted in Community engagement, Historical interpretation, Social media, Technology and tagged Denver Museum of Nature and Science, Google Maps, Twitter on August 24, 2012 by Max van Balgooy.